Building our partnerships to provide your solutions. Built on a strong foundation of market expertise, Fabric Sources International’s successful past has launched the business into the leading company you know and trust today. 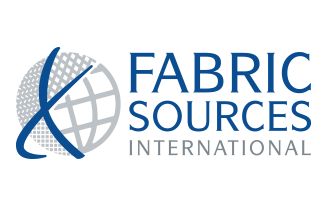 In 2001, the founders of Fabric Sources International, LLC recognized the market opportunity to source nonwoven goods manufactured outside the U.S. They developed long-lasting relationships with nonwoven manufacturers around the globe with a goal to connect producers and users of nonwoven products. FSI’s business model evolved from simply connecting producers and users of nonwoven products to purchasing goods from producers, and reselling the goods into select markets in 2005, and developed partnerships with local converting companies, allowing FSI to sell customized market solutions. In 2007, FSI opened its first full-service facility, including the acquisition and development of its own converting operation. Over the next eight years of rapid growth and success, FSI moved into its current location, expanded into the adjacent property, and added several new converting lines, including both 160” wide lamination and 90” wide coating lines, to serve its growing business and extend product offerings to new markets. Today, our dependable and adaptable team brings excellence in everything they do, allowing us to provide our customers the products and solutions they demand.